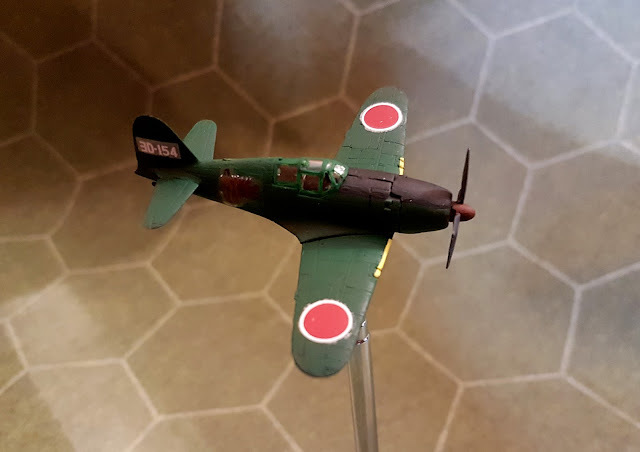 While Dave was working on his Grumman Hellcat I was working on a Mitsubishi J2M3 "Jack". 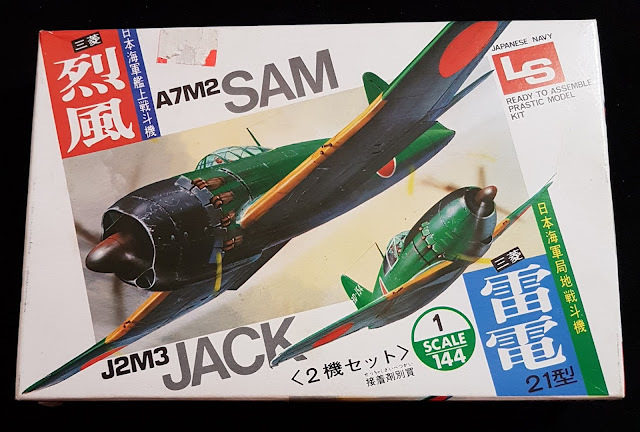 The model was old enough that I couldn't find a date on the box or in instructions (not that I can read Japanese mind you) but I was able to find it on a website of vintage models, claiming it was form the 1980's. Which makes sense, given the foggy and weak condition of the decals. But none the les it was a pleasure to to build and paint. 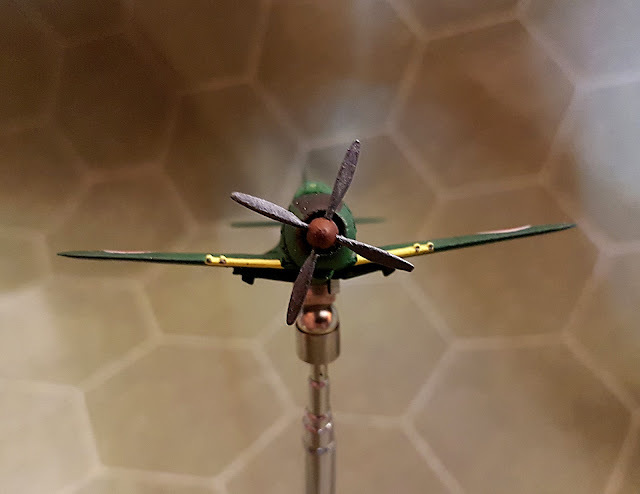 Unlikf dave's Hellcat,I painted my Jack to look like the box art, going for a fresh of the assembly line feel that I just love for aircraft. So this box was supposed to come with two planes, however I only had rules for one. It was no big deal, the box was only $5. However I opened it, I found that there were two other models for Japaense dive bombers in there as well... That certainly won;t supposed to be in my two model kit. Likely a package error, it worked in my favour as I had rules for one of the Dive bombers... but not the other. So the way I see it is that my 4 four model kit gave me the two models I paid for. Since a jack is no match for a Hellcat we also snagged, a Corsair, and a Zero, which I am hoping to assemble soon, making for a more even and interesting fight. 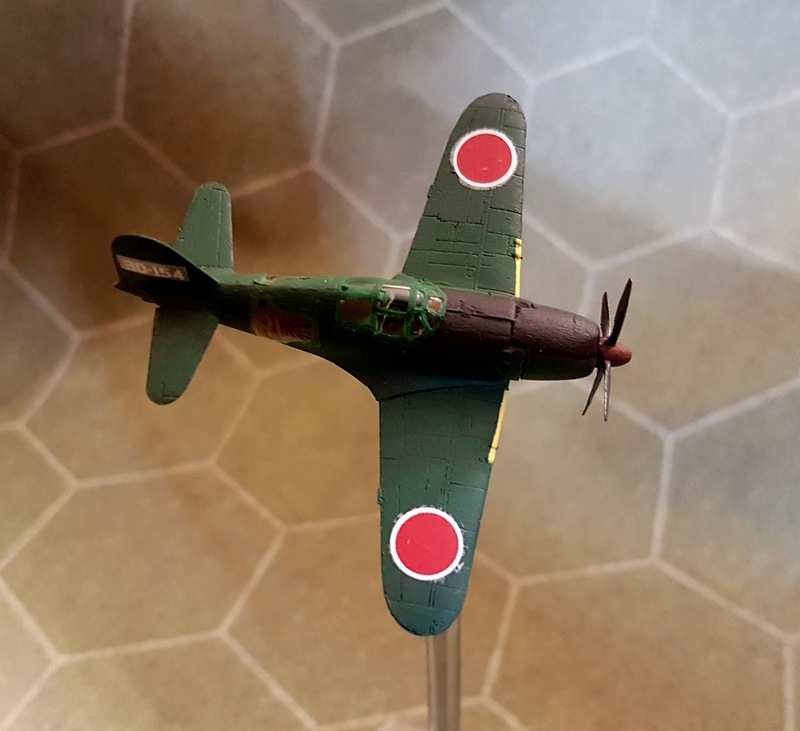 I got this model from the bargain/repacked section at my local model shop... And I can't even tell you who made it. So if you know please comment! Spiders, and Dungeons and Dragons! Oh My!